‘Over the past two decades . . . government officials, and perhaps [others], entered into a literal, intentional conspiracy to deprive [the family members] not only of their [grazing] permits but also of their vested water rights. This behavior shocks the conscience.” These are not the words of the embattled Hammond family in Harney County, Ore., nor their noisy defenders who made headlines with their illegal occupation of a few buildings at the Malheur National Wildlife Refuge — actions the Hammonds do not support — nor even conservatives who see another Sagebrush Rebellion spreading across the American West. Instead, they are the thoughtful words of Nevada chief federal district-court judge Robert C. Jones in a painstakingly thorough 104-page decision in May 2013 following a 21-day trial held in 2012 in Reno. As National Review’s David French has chronicled, the Hammond travails over the decades mirror the fearful path trod by the late Wayne Hage and his family, except for the substitution in the Hammonds’ case of yet another federal land-management agency, the Fish and Wildlife Service, which runs the national wildlife refuge surrounding their ranch. After obtaining an easement to use a private road across the ranch owned by Robbins’s predecessor, federal officials failed to record it. Thus, when Robbins bought the ranch, he did not know about the easement, and, under Wyoming law, he took title free of it. Thereupon, BLM officials, wrote Ginsburg, “demanded from Robbins an easement — for which they did not propose to pay — to replace the one they carelessly lost.” When Robbins offered to negotiate an agreement, they told him “the Federal Government does not negotiate” and “this is what you are going to do.” When he refused, he became, according to Ginsburg, the target of “a seven-year campaign of relentless harassment and intimidation to force [him] to give in.” When Robbins offered to negotiate an agreement, they told him, ‘the Federal Government does not negotiate.’ After two appearances each before the federal district court in Wyoming and the Tenth Circuit Court of Appeals in Denver, Robbins reached the Supreme Court in his effort to hold federal employees accountable for violating his constitutional rights to exclude them from his land and for trying to extort an easement from him. Sadly, Justice Ginsburg did not write the majority opinion; her outrage on Robbins’s behalf was a lonely dissent; instead, Justice David Souter, on behalf of the Court, held that Robbins had no cause of action. He admitted that Robbins had suffered a “death by a thousand cuts,” in “endless battling” that “depletes the spirit along with the purse,” but concluded that the rights of citizens to be protected from “illegitimate pressure” by “unduly zealous” bureaucrats was balanced against the government’s need for “zeal on the public’s behalf.” Fearing that granting Robbins relief “could well take the starch out of regulators who are supposed to bargain and press demands vigorously on behalf of the Government and the public,” the Court held Congress was in a “better position” to provide relief if it saw fit. In the years since the 2007 ruling, however, Congress has done nothing to protect citizens from “unduly zealous” — meaning “lawless” — bureaucrats and the taxpayer-funded lawyers who defend them. It is not just Congress — which could conduct oversight hearings, investigate abuses, hold officials and lawyers accountable, and constrain budgetary authority — that did nothing. The abuses by bureaucrats in the field far from Washington — instigated, and aided and abetted, by environmental extremists, both local and national — of the Hammonds, the Hages, and Robbins occurred either knowingly or negligently during the administrations of Republican and Democrat presidents alike. For example, in 2005, a man who became a client of Mountain States Legal Foundation and prevailed after a nine-year battle before five federal courts was told by federal lawyers that his property rights and legal precedents were irrelevant. He had what they wanted and they would take the case to the Supreme Court to get it. They did but they lost. As anyone who has the federal government as a neighbor knows — whether in northwestern Montana, in the Upper Peninsula of Michigan, or in the Ozark Mountains of Arkansas — federal land managers and their lawyers make the worst people to have next door. The federal government, which owns a third of the country, acts not just as a landowner; it behaves as sovereign too, especially when it sends its lawyers into court. The Canons of Ethics purport to regulate the behavior of those lawyers, providing that: “A government lawyer . . . has the responsibility to seek justice . . . and he should not use . . . the economic power of the government to . . . bring about unjust settlements or results.” Moreover, Supreme Court justice George Sutherland, Utah’s only Supreme Court Justice, wrote, “The United States Attorney is the representative not of an ordinary party to a controversy, but of a sovereignty whose obligation to govern impartially is as compelling as its obligation to govern at all; and whose interest . . . is not that it shall win a case, but that justice shall be done.” “It is as much his duty to refrain from improper methods calculated to produce a wrongful [result] as it is to use every legitimate means to bring about a just one,” Sutherland concluded. Regrettably, in my experience, federal lawyers seek not justice, but to win and to win at all cost. Regrettably, in my experience, federal lawyers seek not justice, but to win and to win at all cost, which includes: Failing to conduct due diligence before defending federal employees named personally for wrongdoing, withholding documents, misstating or suppressing legal authority, and misrepresenting facts during oral argument. Where are the Canons or Justice Sutherland’s command then, or perhaps more important, where is the disciplining from senior attorneys, supervisory officials — many confirmed by the Senate — or state bars? 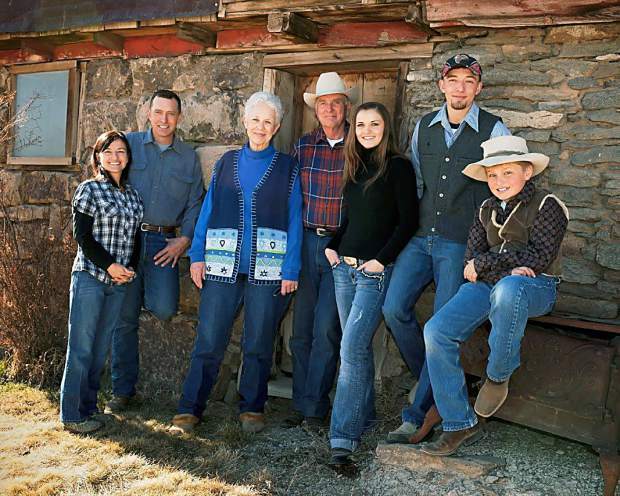 That federal lawyers have “run amok,” much like the bureaucrats they defend, is evident, not just from my experience, but also from the fact that the Hammonds were charged, not with trespassing on 140 acres of federal property with the backfire they started to protect their land, but with terrorism! The Oregon district-court judge trying the case saw the outrage and the injustice but was reversed by a three-judge panel of the Ninth Circuit. Meanwhile, where were senior officials at the U.S. Department of Justice and where were their overseers in Congress, which had ample opportunity to question the legal proceedings in Oregon during the confirmation of Attorney General Loretta Lynch? Silent as always! No wonder fury builds at the injustice being done in the West. — William Perry Pendley, an attorney, is president of Mountain States Legal Foundation in Denver and author of Sagebrush Rebel: Reagan’s Battle with Environmental Extremists and Why It Matters Today. — William Perry Pendley, an attorney, is president of Mountain States Legal Foundation in Denver and author of Sagebrush Rebel: Reagan’s Battle with Environmental Extremists and Why It Matters Today.